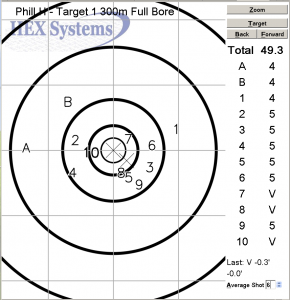 From today, Roseville Rifle club members are able to view and print their shooting sessions online. The web page works like the existing Slave (scorer/spectator) terminal, which will be familiar to those currently using the HEXTA-001 electronic targets terminals. In this mode viewers can select and view any target (button “Target“) and any previous sessions (“Back” and “Forward” buttons). The “Zoom” button allows you to zoom the scoring sheet in exactly the same way as on the range terminals. As with the range terminals, if you use a touch screen device you can use the screen buttons. As with the range terminal, there is an Average Shot display (a second “X” on the sheet/screen). 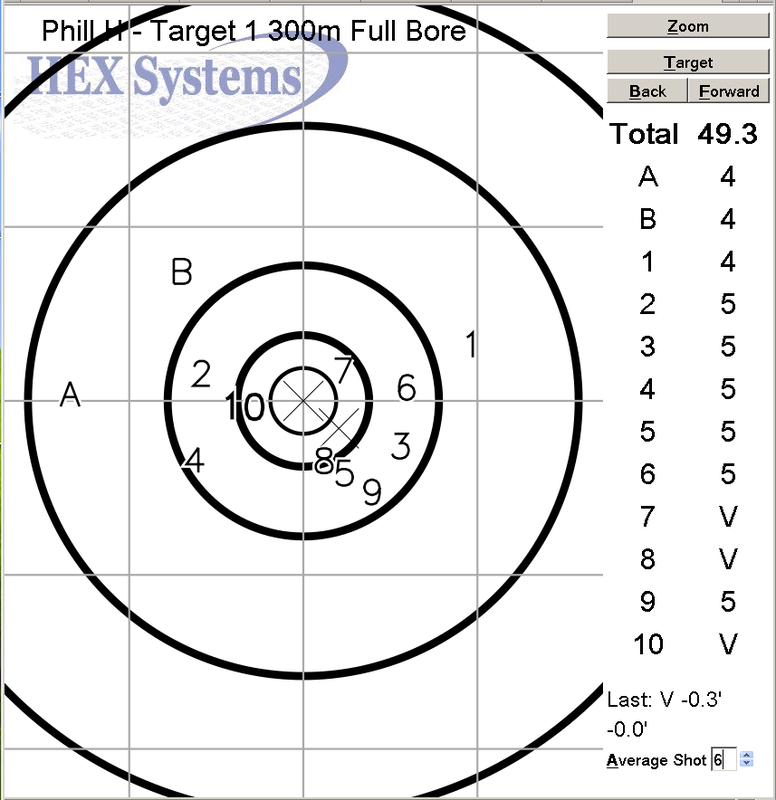 With the “Average shot” (in the right bottom corner of the screen) selector, viewers can select the number of shots to be averaged and displayed. Viewers can print out scoring sheets using their browser’s built-in print function. Currently we are testing the system with Internet Explorer, Google Chrome and Firefox. We are also working to achieve compatibility with Opera web browsers.